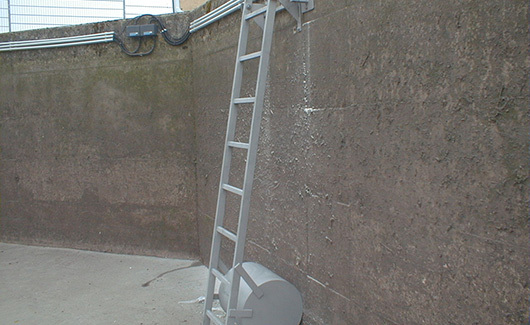 The TRU-CLIMB Floating Ladder System is designed to reduce accidents and allow easy and safe access into sewer manholes, tanks, basins and any structure where a ladder is required. The TRU-CLIMB Floating Ladder is available in the model GTC-1-* and GTC-2-* and is customized to meet your needs for the length. The TRU-CLIMB is available either hinged at the top of the structure (GTC-1-*) or partway down the ladder (GTC-2-*) depending on the access opening, such as long “chimney-like” structures (i.e. manhole entries). The TRU-CLIMB’s model selection is based solely on the length required and the type of opening. The units are currently designated with asterix due to the high variety of model length options. The TRU-CLIMB Floating Ladder is a stainless steel wall mounted ladder anchored directly to the structure wall. 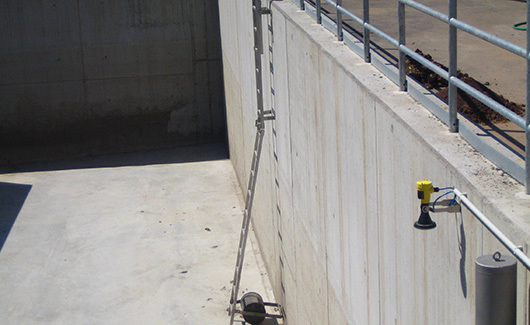 The TRU-CLIMB floats above the water’s surface to avoid the accumulation of debris with the help of a cylindrical float. 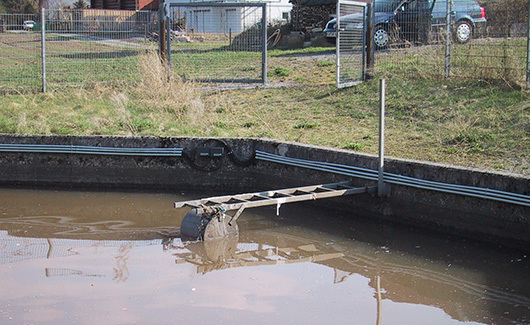 When the water recedes, the TRU-CLIMB lowers into the opening and is ready for use. The rungs are made out of perforated/extruded stainless steel plates for increased grip. 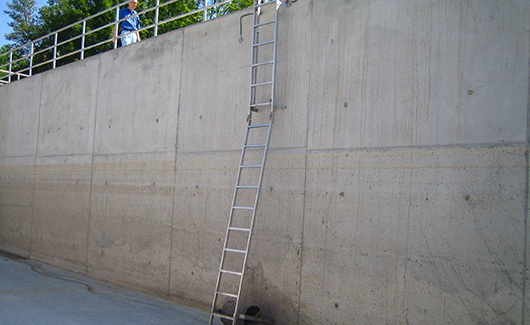 The TRU-CLIMB Floating Ladder can be combined with the SURE-CLIMB Safety Handhold for optimal entry assistance. In this case the SURE-CLIMB is designed as an integral part of the TRU-CLIMB.